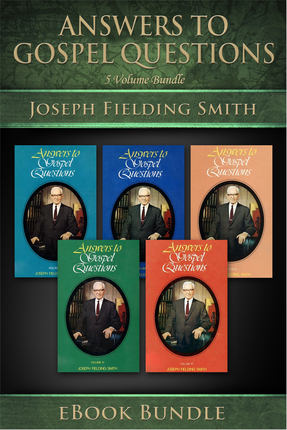 This eBook bundle brings together a lifetime of knowledge from President Joseph Fielding Smith Jr. in giving definitive answers to more than 250 of the most perplexing questions of our times. Many of these answers to religious questions had never before appeared in print. 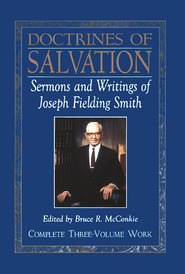 Material for these questions has been gathered from the private files of President Joseph Fielding Smith and represent but a few of the thousands of his personal answers by letter to members and non-members of the Church. These answers, printed herein, supplement the articles that have appeared in The Improvement Era under the title, "Your Question” from 1953-1966. 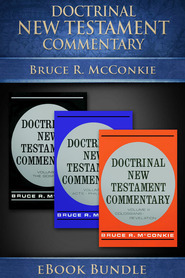 These volumes address a wide variety of topics and are soundly based in scripture and modern revelation. Did the Savior and Adam exist on another planet as mortal beings before they came to this earth? Do you need to be a resurrected being to organize an earth? What is the correct meaning of the term 'Son of Man?' Are we to understand that 'Son of man' has reference to the fact that Jesus came into the world 'in the likeness of men' or became mortal? 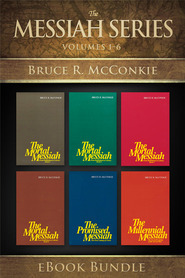 Who is it that speaks to Enoch, Noah, Abraham and Moses and the Prophets of the Old Testament? Is it our Eternal Father or Jesus who was known as Jehovah? When and under what circumstances did there begin the bestowal of the Aaronic Priesthood upon boys, and not just grown men? Is there a difference between the kingdom of God and the kingdom of heaven? Or does the kingdom of God circumscribe all the good people of the earth, while the kingdom of heaven must have the doors opened for baptism? In the early period of the Church the gift of tongues was practiced, but for many years we have heard nothing of this gift. Has it ceased to be in the Church, and if so, why? In light of our teachings about the original sin of Adam and Eve, how do we explain the statement made by David in Psalm 51:5 which states ‘Behold, I was shapen in iniquity; and in sin did my mother conceive me'? What stand or explanation do the Authorities of the Church have in regard to handicapped children? Were they really valiant and loyal followers of God before they came here; that they did not have to make any progress while on this earth? I am married to a non-member who does not show the slightest interest in the Church. 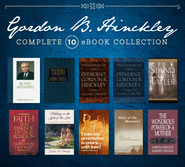 What will happen to me and my children, who are faithful members, in the resurrection? Did Elijah hold the keys to all the ordinances of the gospel? 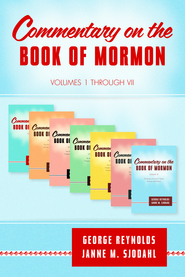 If so, how do we conform this to the visit of John the Baptist to Joseph Smith and Oliver Cowdery which preceded the visit of Elijah? Many who join the Church who come from a Catholic or Protestant background unconsciously bring some of the customs of their former environment with them. One of these is the wearing of the crucifix on a necklace, bracelet, or in some other form. Is this improper and how may we uphold such a belief? The Bible says the Garden of Eden was in the Eastern Hemisphere, and the teachings of the Latter-day Saints say it was in the Western hemisphere, in Missouri. How do you explain this? Why was John the Baptist ordained by an angel instead of by his father Zacharias? Did the Savior by virtue of his atonement paid for the sins of all the human family of Adam, or was he suffering for sins of Adam and those who obey the gospel only? If baptism was an ordinance required of people before the time of John the Baptist (as it was among the Nephites), is there some indication that this was a practice in the Old Testament?